Good afternoon everyone! I hope you are all having a fabulous Monday! 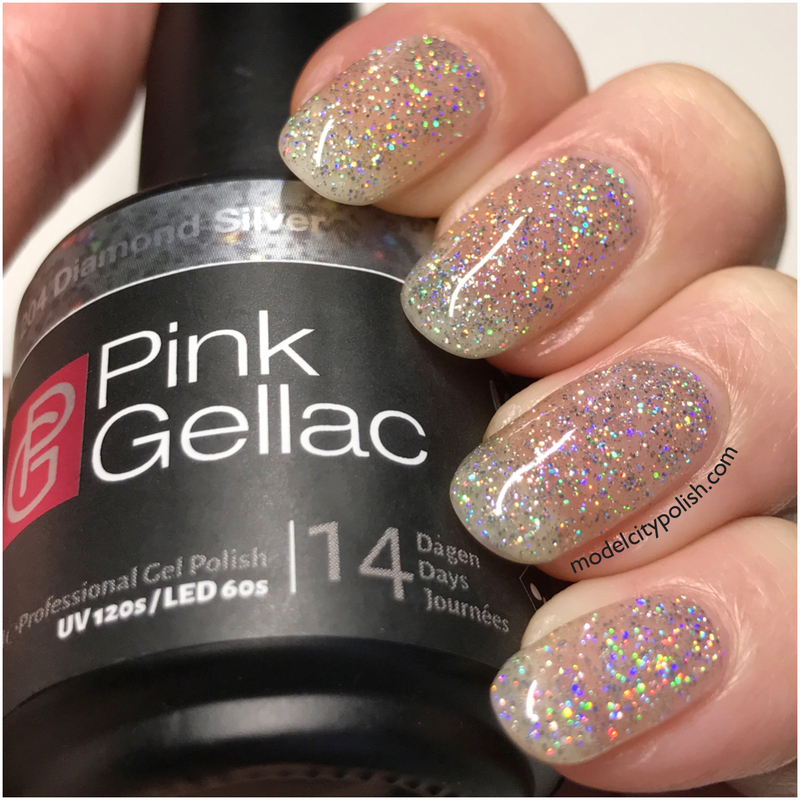 Today I have a fabulous new 5 piece collection titled Disco Glam by Pink Gellac to share with you guys. 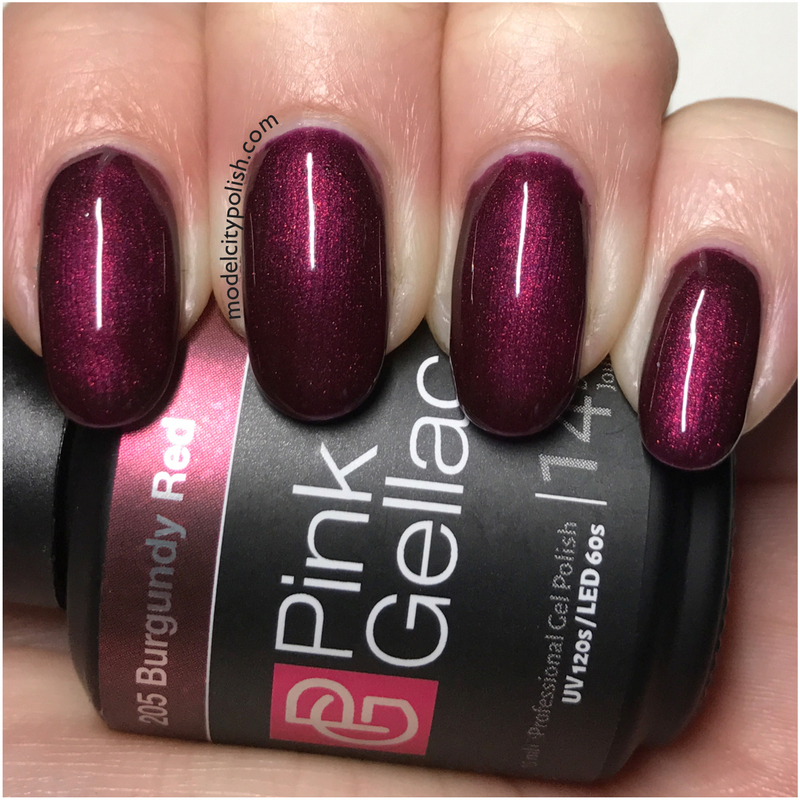 Pink Gellac offers tons of great gel lacquers for at home use that make having a long lasting gel mani easy and affordable. 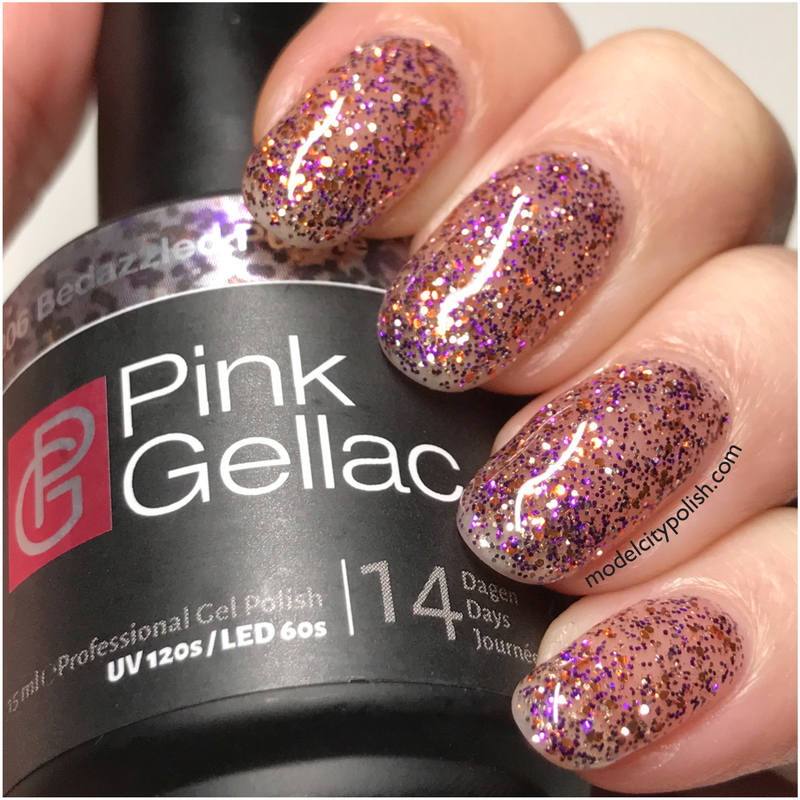 So far I have had nothing but amazing results using Pink Gellac so when I saw their Disco Glam Collection was full of glitters and shimmer I was beyond excited! Today’s post will be pretty picture heavy so let’s dive on in. First up we have Diamond Silver. 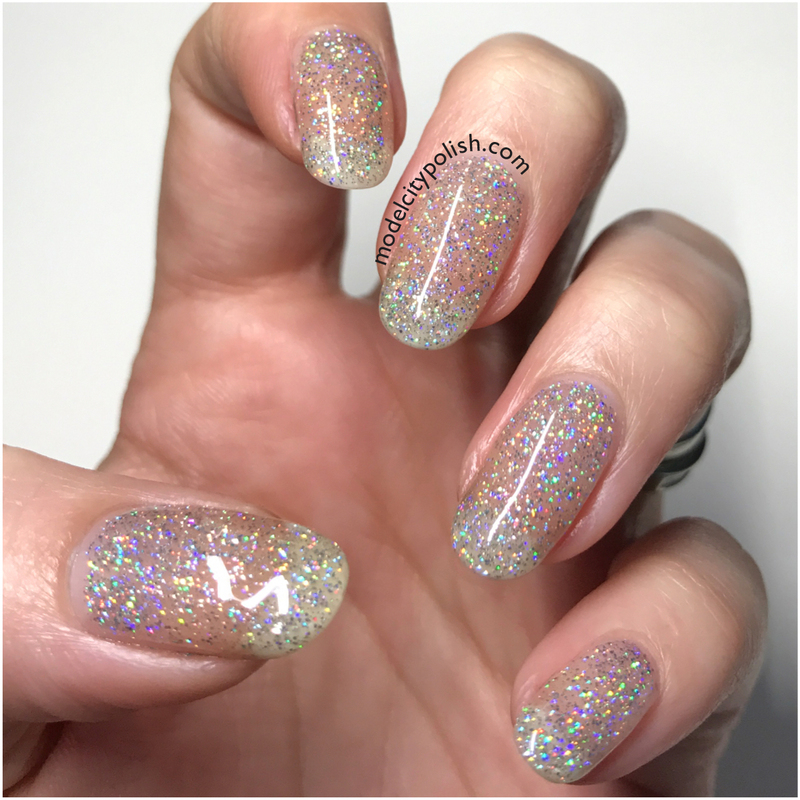 This is a clear base blend packed with ultra holo glitter. 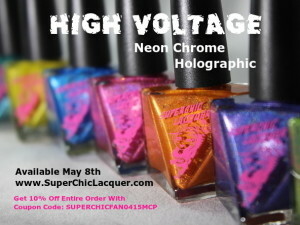 This lacquer can easily be worn layered for a full glitter bomb look or as a top coat. 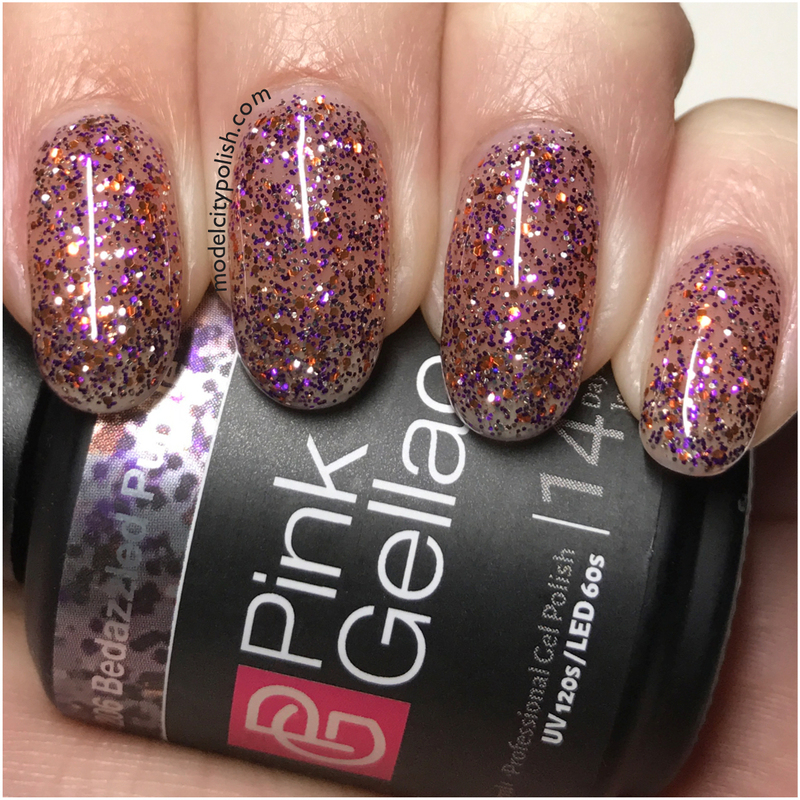 In today’s photos I am wearing one coat of Pink Gellac Base, two coats of Diamond Silver, and one coat of Pink Gellac Ultra Shine Top Coat. Next up we have Burgundy Red. 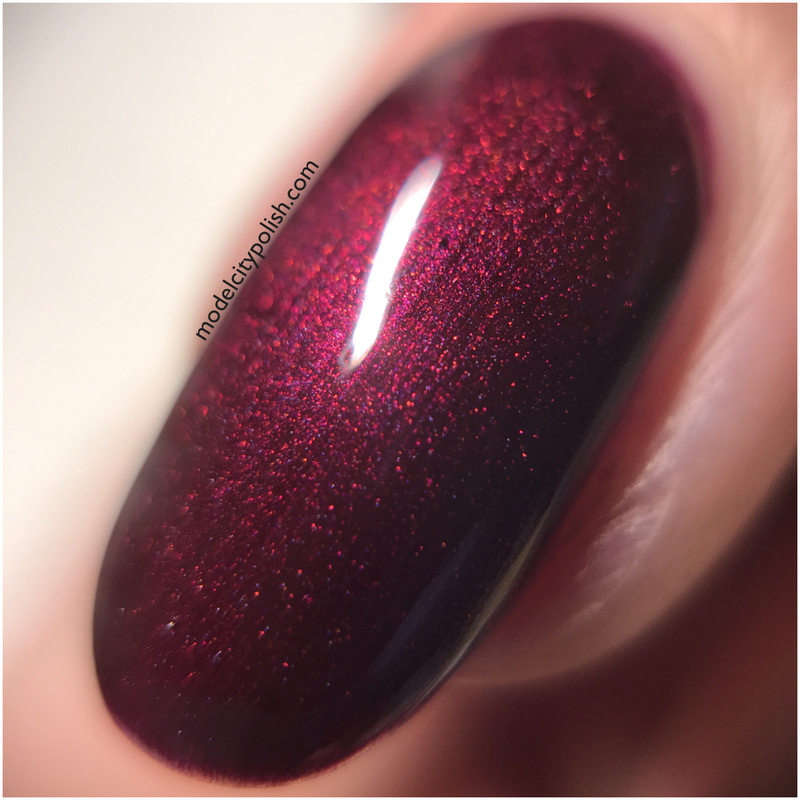 This is an amazing burgundy red shimmer that was simply stunning. 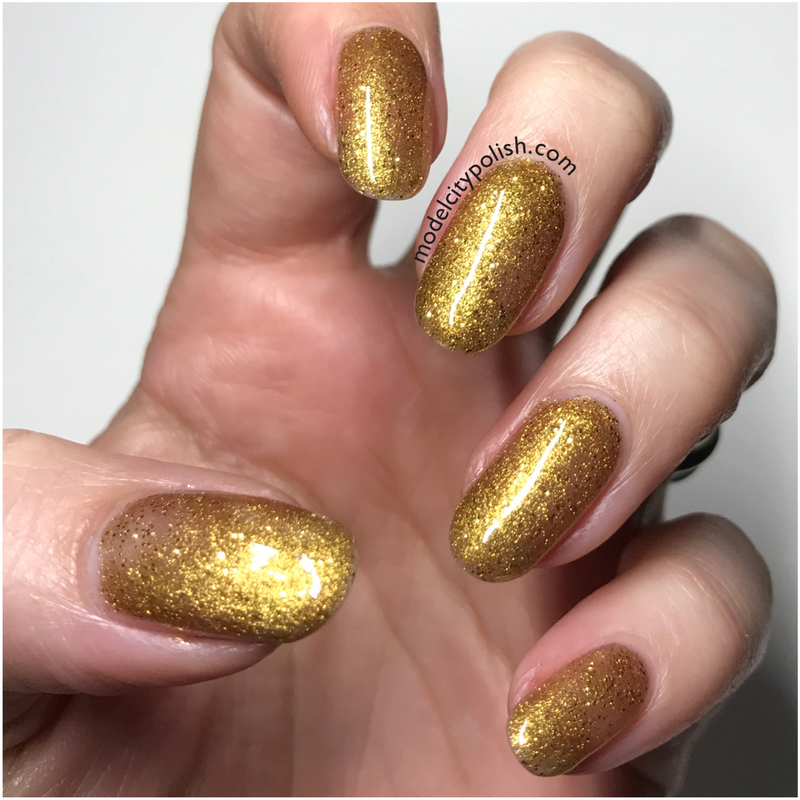 The shimmer had zero streaking and look flawless. 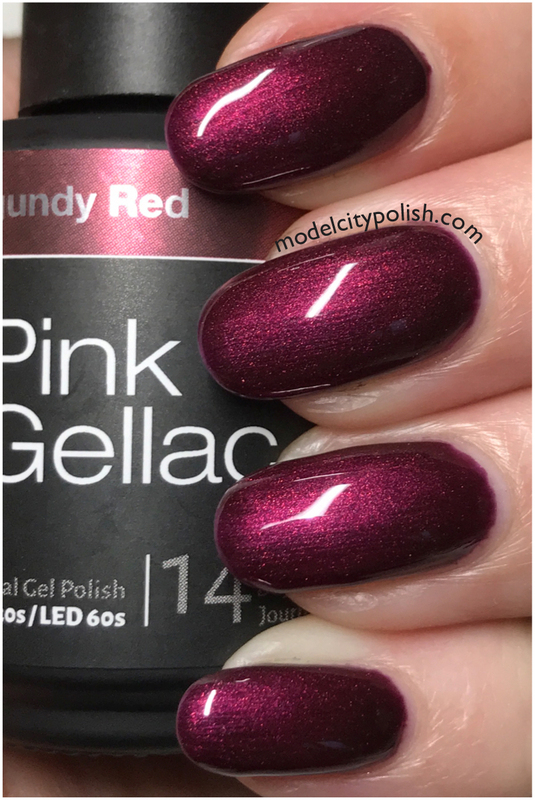 In my photos I am wearing one coat of Pink Gellac Base, two coats of Burgundy Red, and one coat of Pink Gellac Ultra Shine Top Coat. Next we have another glitter bomb. 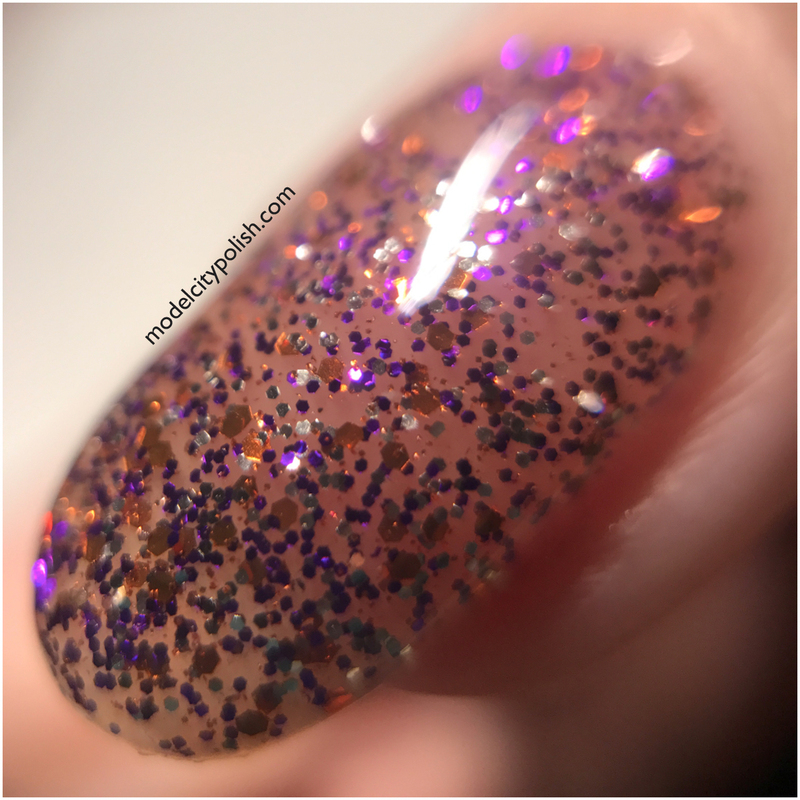 Bedazzled Purple is a clear base blend with pink, purple, gold, silver, and orange glitters in various sizes. 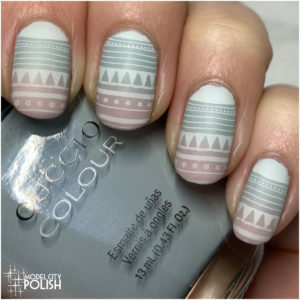 This lacquer can be layered or worn as a top coat. 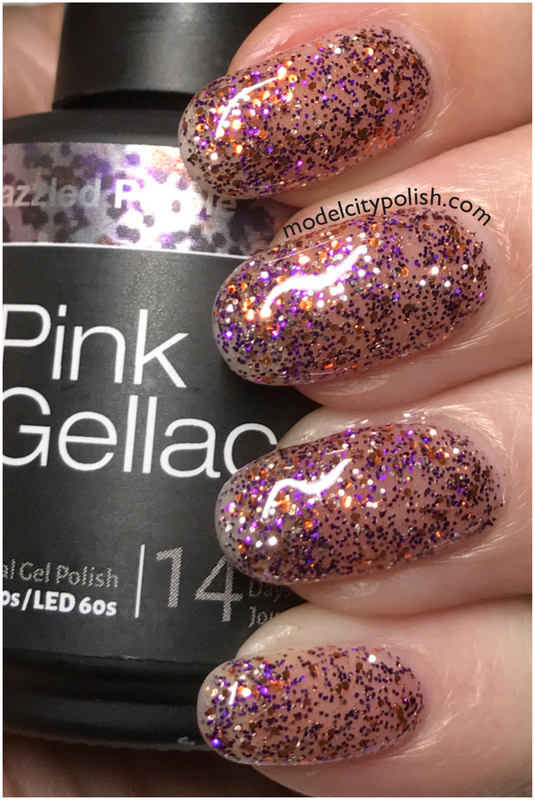 In my photos I am wearing Pink Gellac Base Coat, two coats of Bedazzled Purple, and one coat of Pink Gellac Ultra Shine Top Coat. 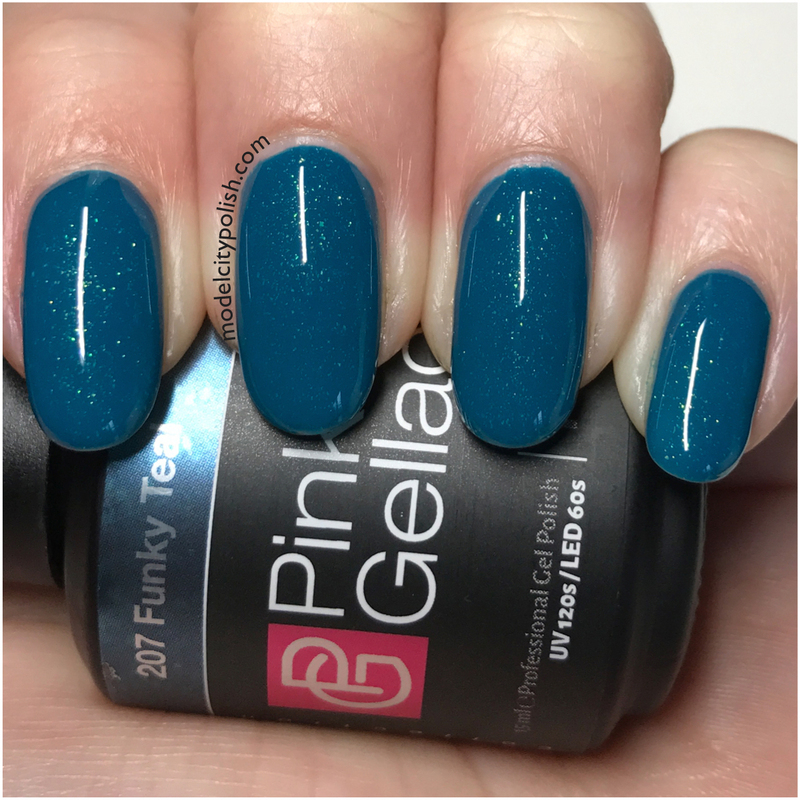 Next up is Funky Teal, my absolute favorite! Funky Teal is an amazing teal base blend with these gorgeous teal flecks. 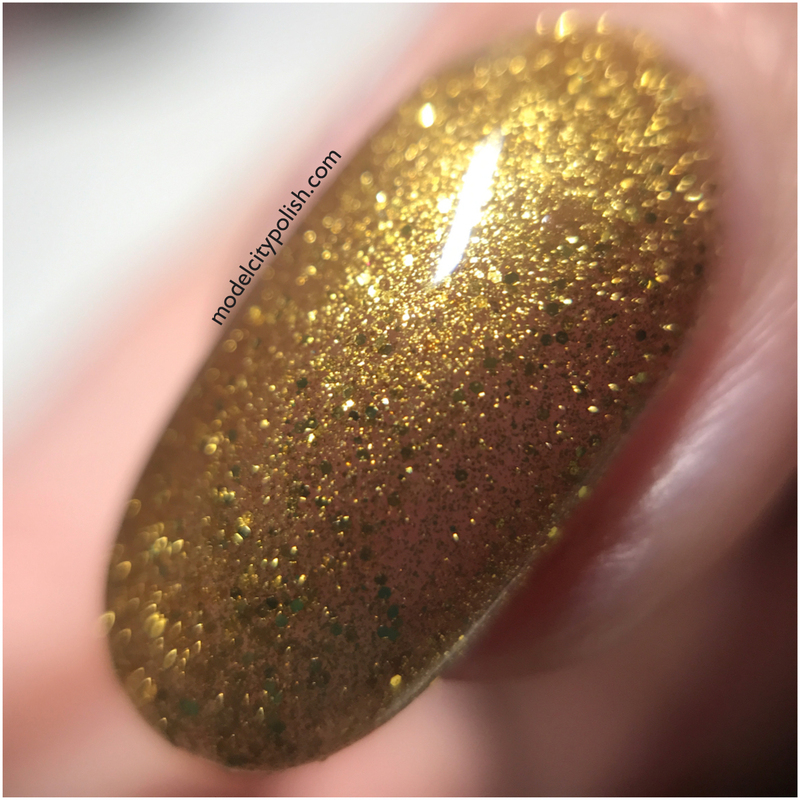 Everything about this lacquer was perfection! 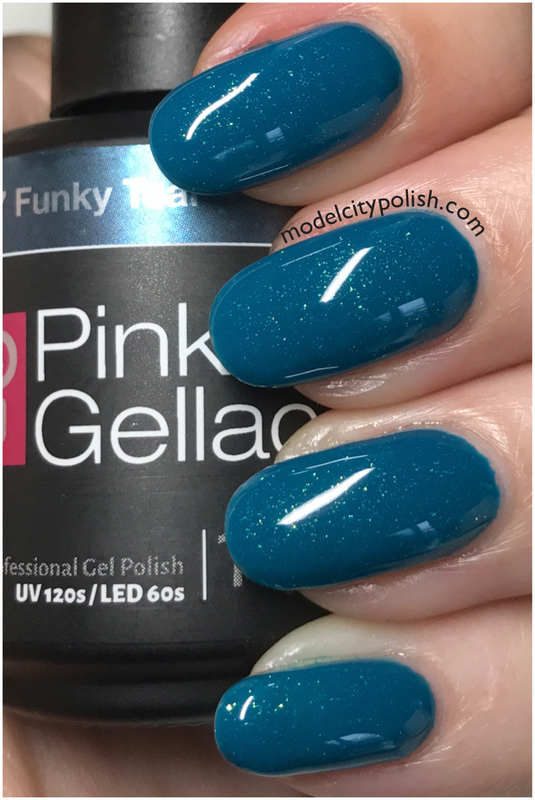 In my photos I am wearing one coat of Pink Gellac Base Coat, two coats of Funky Teal, and one coat of Pink Gellac Ultra Shine Top Coat. Lastly we have Glorious Gold, another stunner! 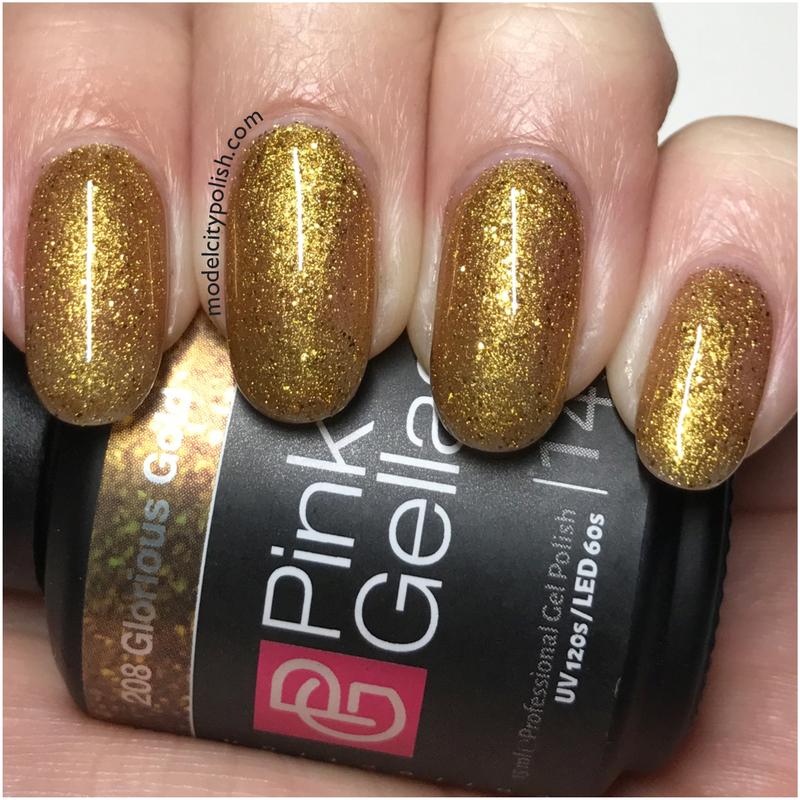 This is a shimmery gold base blend with chunks of gold glitter. Once again application and coverage were flawless. 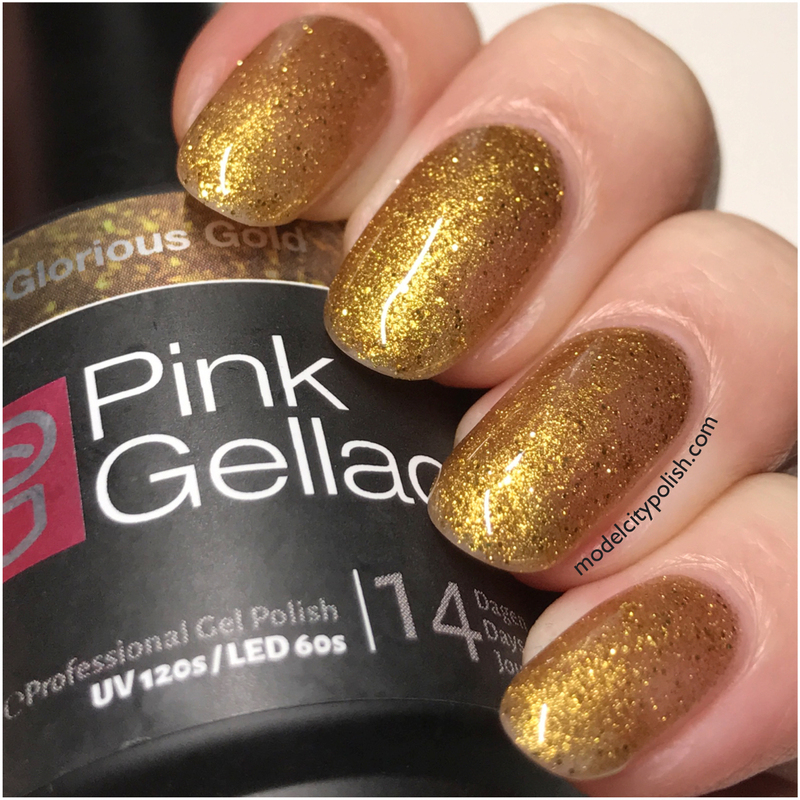 In my photos I am wearing one coat of Pink Gellac Base, two coats of Glorious Gold, and one coat of Pink Gellac Ultra Shine Top Coat. 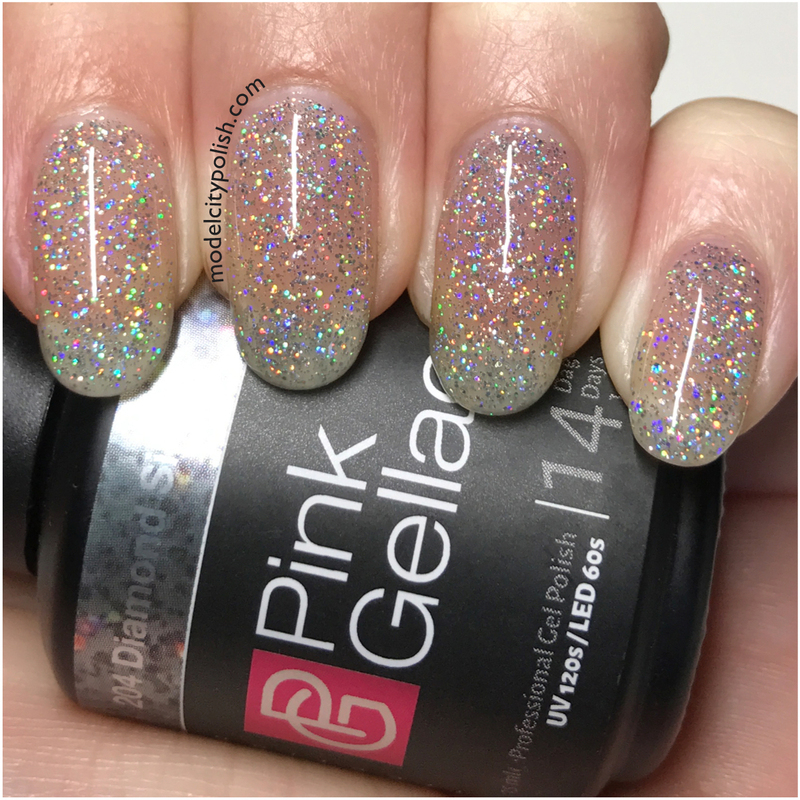 Wow these are really awesome for gel polishes. I love the gold and blue. 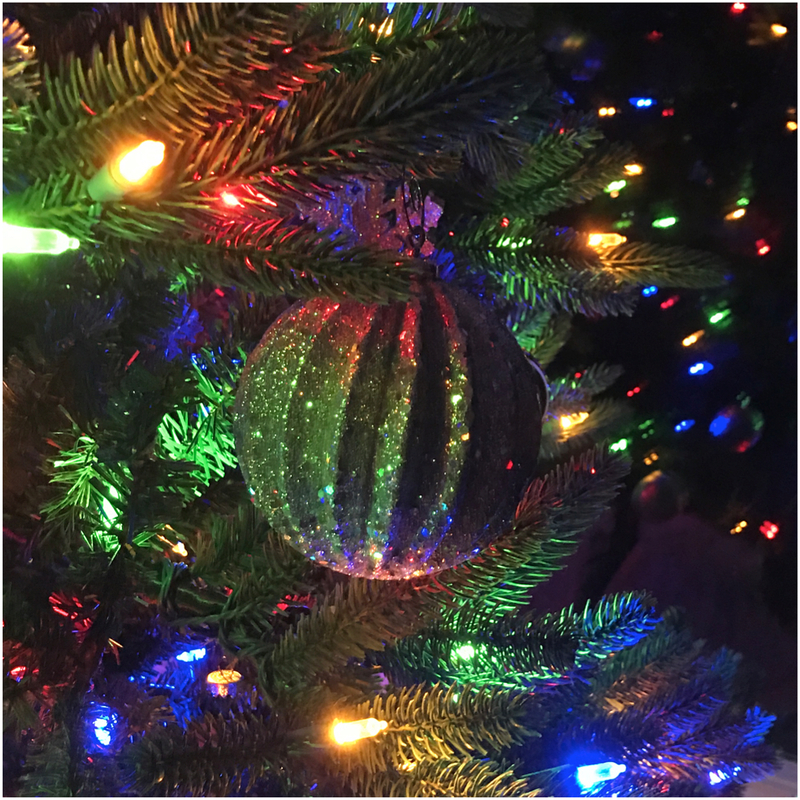 Beautiful tree shot! And OMG, that burgundy! I love it. 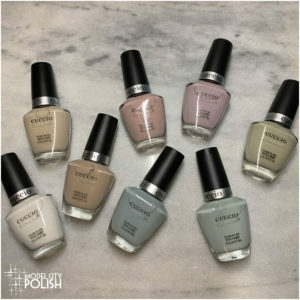 These are beautiful and your swatches are flawless. 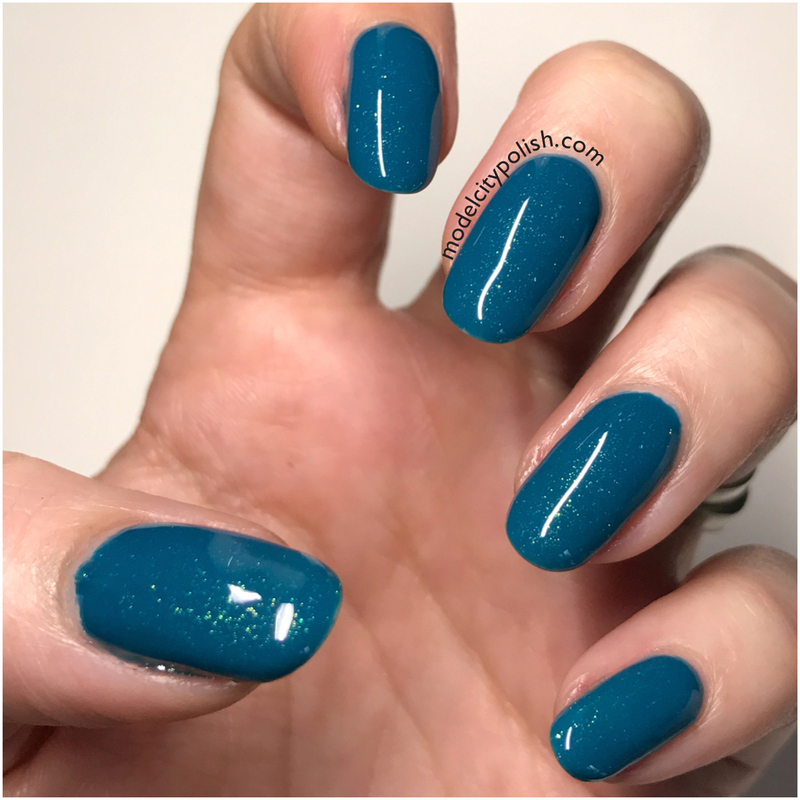 I’m loving the sparkle in Funky Teal! 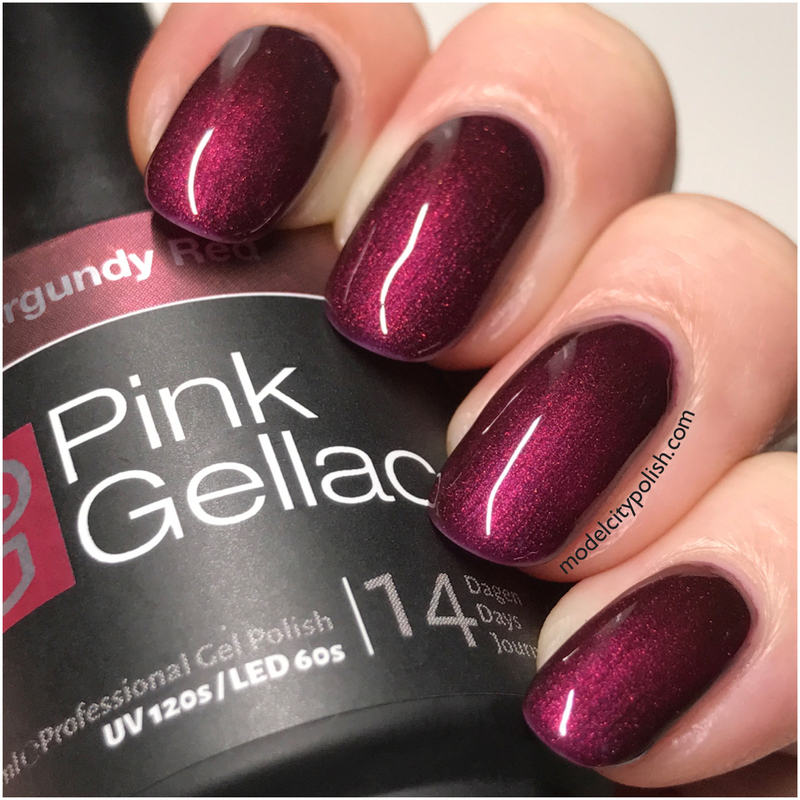 HOLY WOW That Burgundy Red is stunning! Makes me wish I wore gels for sure. I love Diamond Silver by itself. Sheer glitters are so sophisticated when worn by themselves. 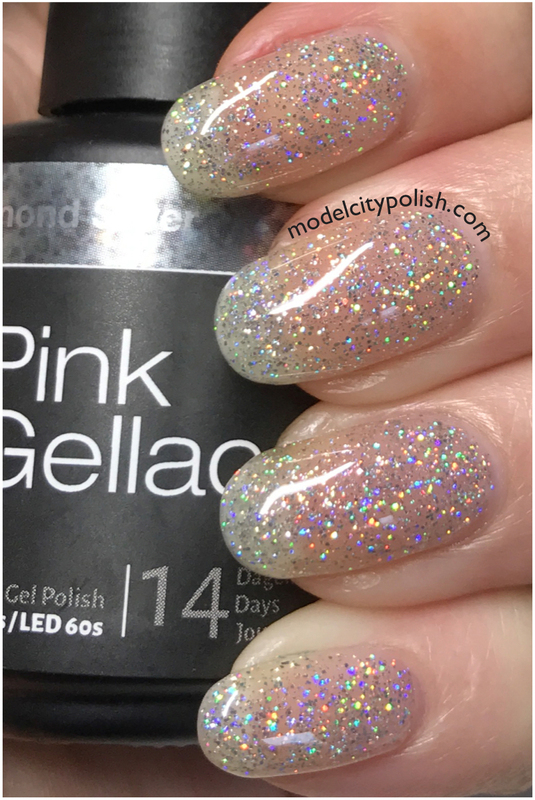 These look amazing for being gel polishes. I especially like the burgundy red! 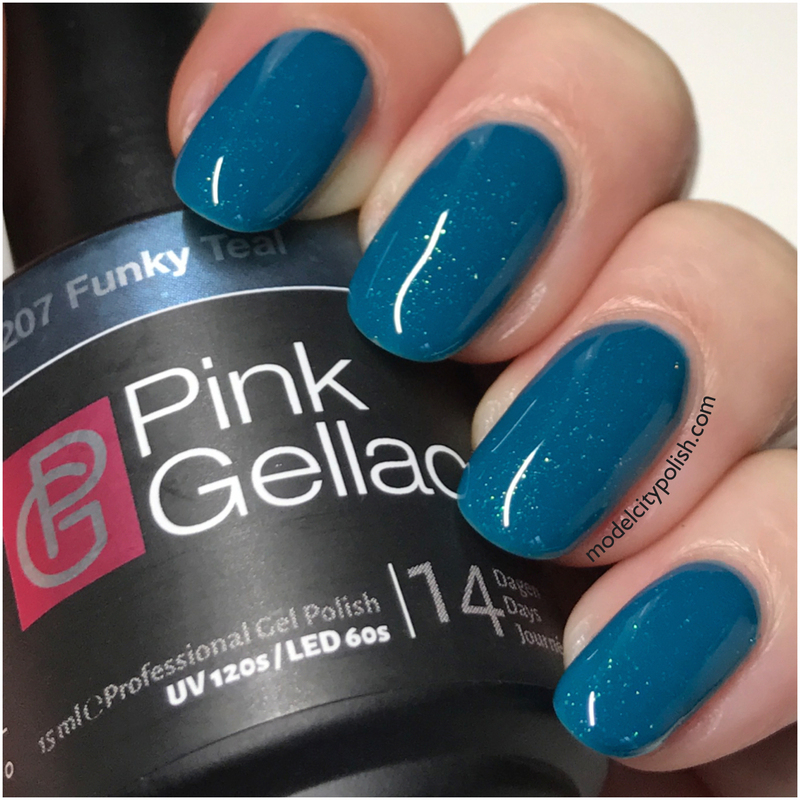 Funky Teal is fabulous! It’s my favorite of this set! That’s a fun collection! 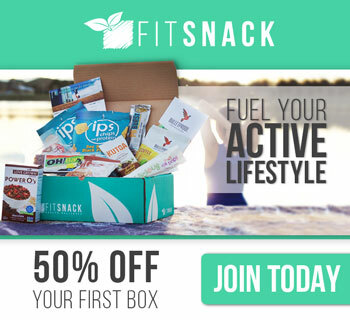 Funky Teal is my favorite too! Beautiful swatches! 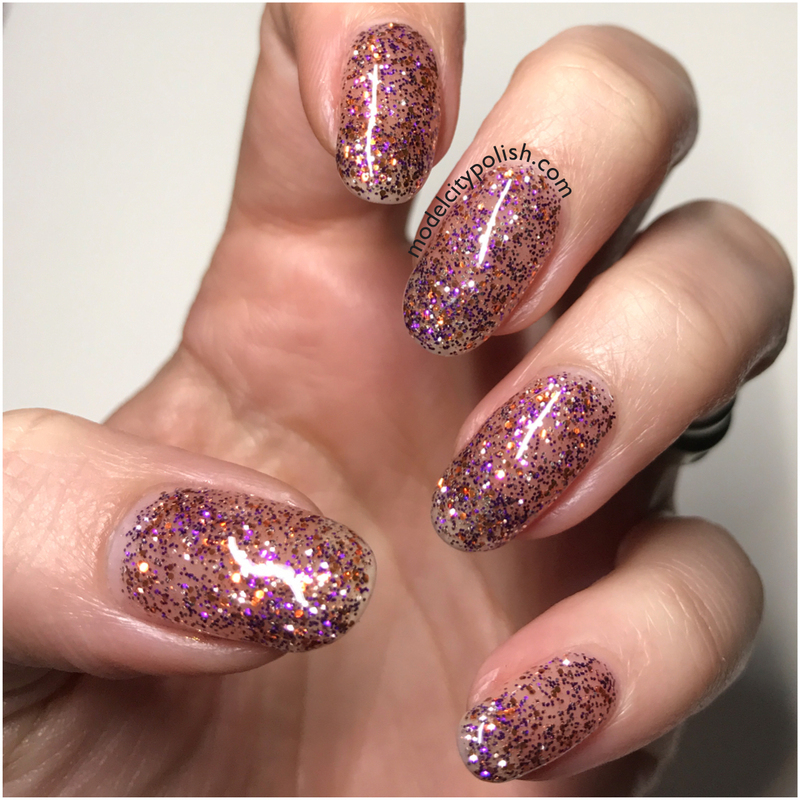 I love that silver glitter on its own, so dainty! 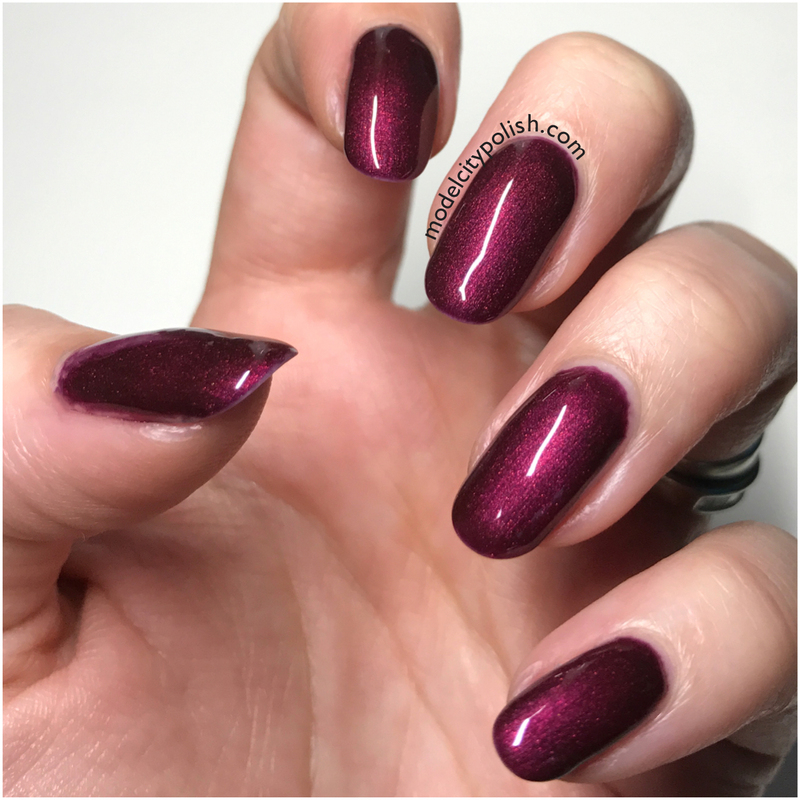 Burgundy Red looks so pretty! Someday I want to invest in a gel manicure system — I like the idea of it lasting for so long! I’m a fan of the burgundy red shade. They all look quite nice though. I love doing gel on my toe nails in the summer.